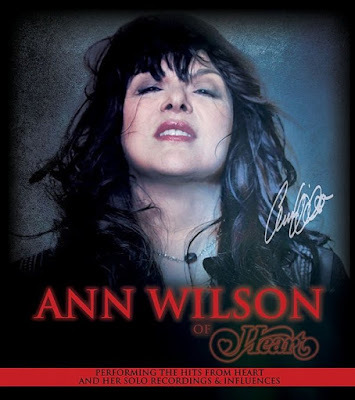 Heart singer Ann Wilson has announced dates for a solo US tour this spring. The 20-date run will begin at the Moore Theatre in Wilson's hometown of Seattle, WA on March 8, with shows wrapping up in Providence, RI on April 7. The singer will be joined by longtime Heart guitarist Craig Bartock along with bassist Andy Stoller and Denny Fongheiser on drums and percussion. "People can expect the unexpected in 2017," says Wilson. "A beautiful, classy set with an elegant, artistic production. The music will be a mix of songs that have powered my life; iconic soul stirring covers, songs from my years of solo work and the unforgettable songs of Heart." Tickets for the shows will go on sale January 13; a full list of dates can be found below. As for her regular gig, Wilson explains, “Heart is always evolving, changing. It is a living organism. Right now it's in a cocoon of metamorphosis, and we will see what emerges when the time is right." Heart’s latest album is 2016’s “Beautiful Broken”; last month, the group released “Live At The Royal Albert Hall With The Royal Philharmonic Orchestra”, which captures the band’s first-ever live performance at the fames London venue in June of last year.